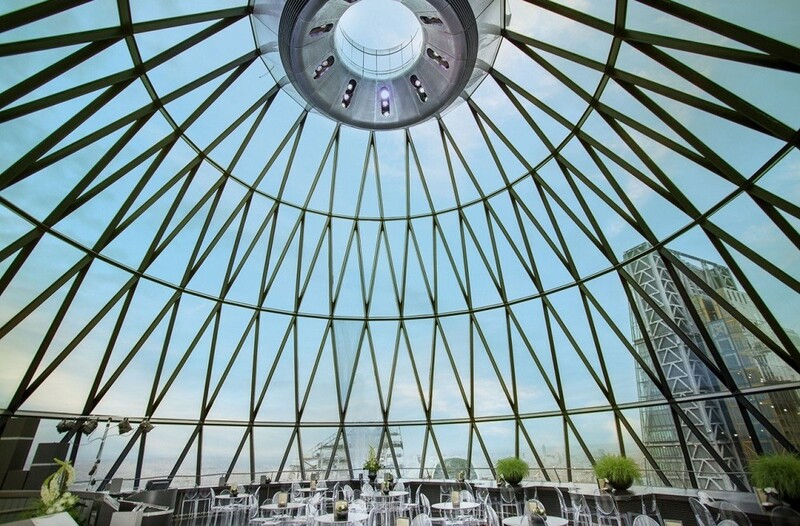 London’s The Gherkin isn’t just home to offices; on its 39th and 40th floor sits the Searcys Helix restaurant and Iris bar – a perfect spot for fine dining while soaking up the glorious views of the City. 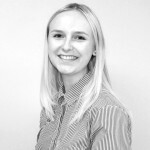 Jade Burke dines in the venue to sample all it has to offer. 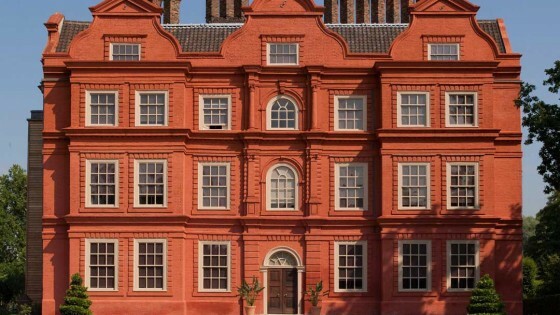 The centre of London is a hive of restaurants and bars making the city as competitive as ever, but it’s the little touches that can make a venue stand out above the rest. 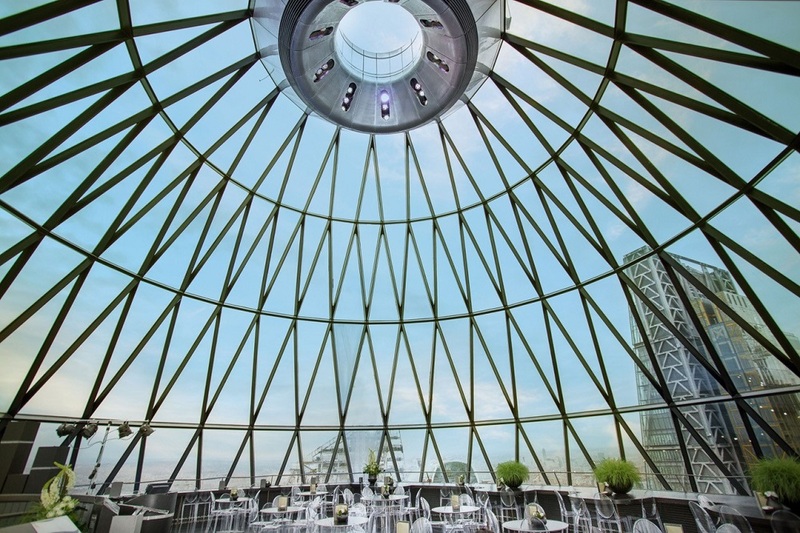 This is certainly the case for Searcys, which is located at the tip of the Gherkin building. 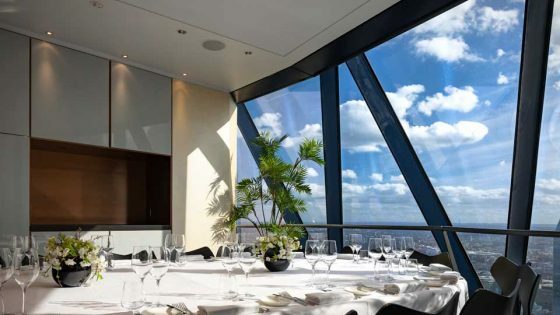 Nestled high above the iconic London skyline, guests can visit the Helix restaurant for some fine dining dishes or sit down for a glass of champagne above in the Iris bar. 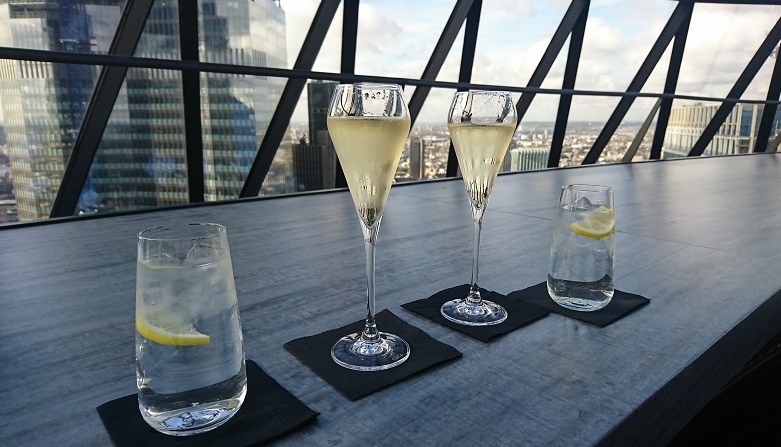 Travelling up to the 40th floor, my guest and I were provided with some champagne inside the Iris bar, while overlooking the stunning vistas of London. You can see everything here thanks to its iris shape, from Tower Bridge and the River Thames to the ‘walkie talkie’ building. It’s a fantastic setting if you’re looking to impress a client and treat them to a glass of bubbly. After enjoying the views, we headed down to the 39th level to Helix, where the restaurant was filled with guests diving into their exquisite lunch dishes. We visited at 2pm for a late lunch, and the venue was still teeming for lunch service. Both the restaurant and bar do not permit walk-ins, meaning groups must reserve a table in advance to avoid disappointment, however I am told that diners should check online or call beforehand to find out availability on the day. We sat in the middle of the floor facing the clear glass, overlooking the high rises of the City – what a glorious way to spend lunch. 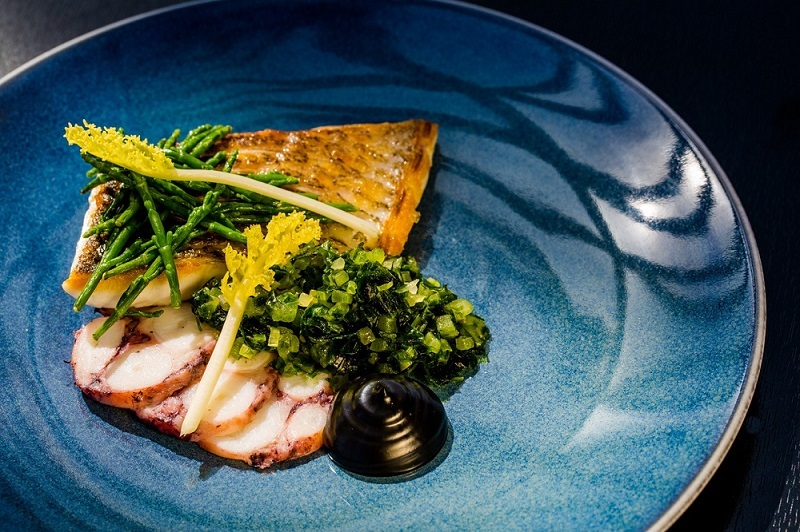 Searcys also offers a business lunch menu, where diners can opt for two courses and a drink for £29 per person or three courses and a drink for £35. The menu boasts a selection of dishes, including the hot smoked salmon and whipped ricotta to start and saddleback pork for a main, which is all rounded off with a dessert. If you’re seeking a venue with the ‘wow’ factor and a fast lunch consisting of seasonal and local produce, then the Helix can deliver everything and more. During our lunch we chose to order from the à la carte menu to gain a true experience of what it can offer. 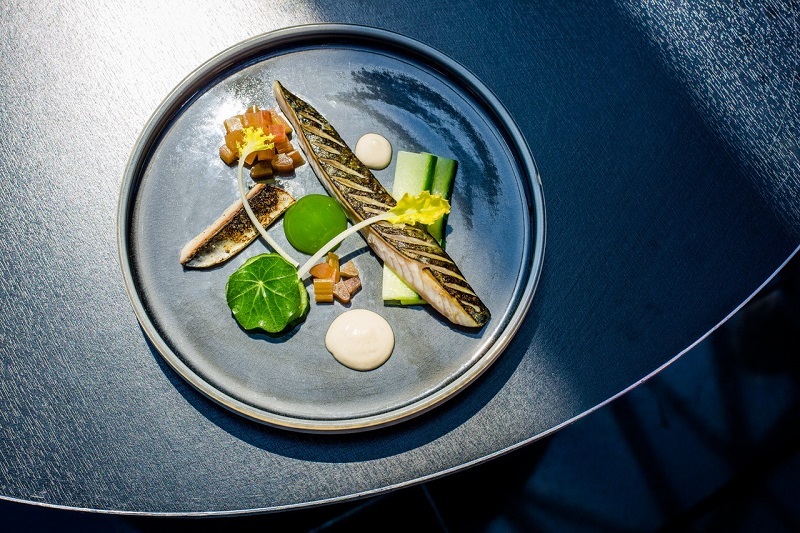 To start I selected the Cornish mackerel, while my guest chose the duck. As expected, booth dishes were served in pristine condition, while each flavour married together perfectly. As a lover of seafood, for the main course I couldn’t resist trying the wild bass, meanwhile my guest dined on the roast spiced cauliflower. After polishing off both plates, we were provided with the dessert menu. Despite it only being a lunch, we both decided that a sweet treat was necessary after browsing what was on offer. I wanted something quite light after a full meal, so I chose the coconut mousse; it was the perfect dish to finish on thanks to its refreshing flavours. If you’re looking for something a little more intimate, Searcys also offers adaptable private dining spaces – all named after clouds: cirrus, stratus, alto and cumulus can be combined and shaped to fit any occasion. Each room boasts unparalleled views, where board meetings, birthday parties, product launches or roundtables can all be held, plus the latest AV can also be included. Having scooped the best private dining venue accolade at the 2018 London Venue Awards, you can book this location knowing it will deliver. 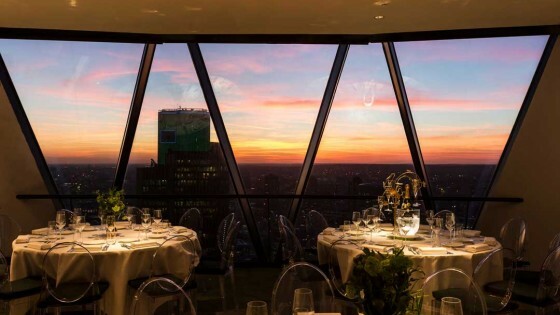 This venue can provide everything necessary to ensure guests go home remembering their experience, from the delicate dishes and the wide range of champagne, to the panoramic view of London’s skyline – you won’t be disappointed if you book a table here.